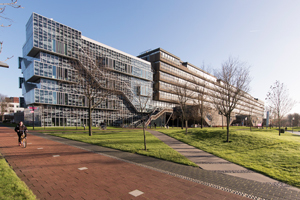 On the occasion of the retirement of Dean Bert Geerken, the Faculty of Civil Engineering & Geosciences and TU Delft | Global Initiative organize a symposium on Global Development. This symposium is followed by the farewell reception of Dean Bert Geerken. You are warmly invited to attend one or both parts of this event. Please register before 20 April 2018.